This Taco Salad recipe is a wonderful make ahead of time recipe for a crowd. It doesn’t get easier than this. Just a few simple steps and dinner is served. Hi everyone! 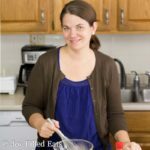 I’m Lindsay and I am a blogger over at That’s Low Carb. I’m excited that we get the opportunity to share some of our favorite comfort food recipes with you here! So let’s get started off on the right foot with our favorites. One of my favorite comfort food at all times is TACO SALAD. We’ve recently moved overseas to Ireland and I’ve got to admit, the lack of Mexican food and flavors here is slightly killing my soul. I would probably devour this entire Easy Taco Dip right here and now if I had the opportunity. So while we begin missing bits of our old home and trying to get back on track with eating. I just HAD to bring those flavors to the table. 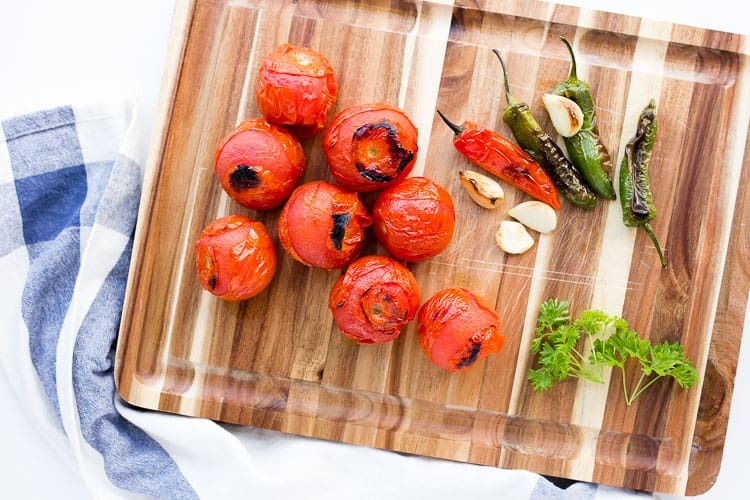 First things first for us is making Homemade Low Carb Salsa. You are more than welcome to buy a jar of low carb salsa if you’ve got that as an option. We, unfortunately, don’t anymore so roasting and making our own it is! 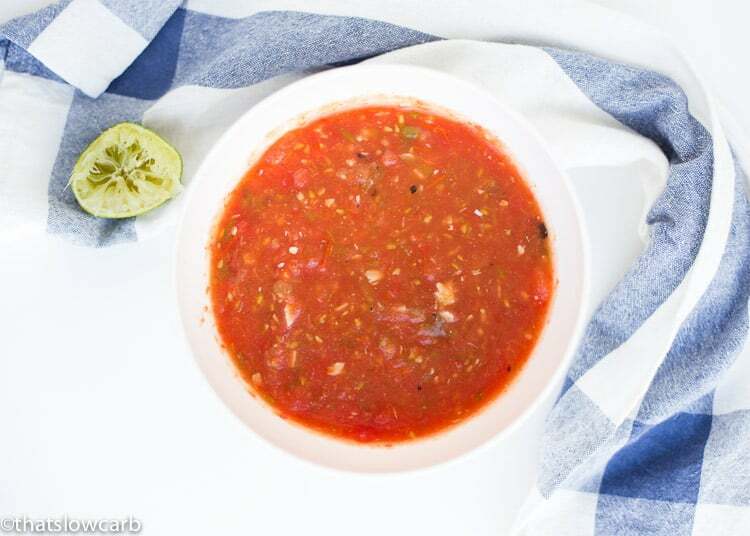 We go into deeper description over at our Low Carb Salsa post if you do want to make it from scratch. So once you have yourself a large bowl of salsa and guacamole (another taco requirement in our household)… you are ready to build. 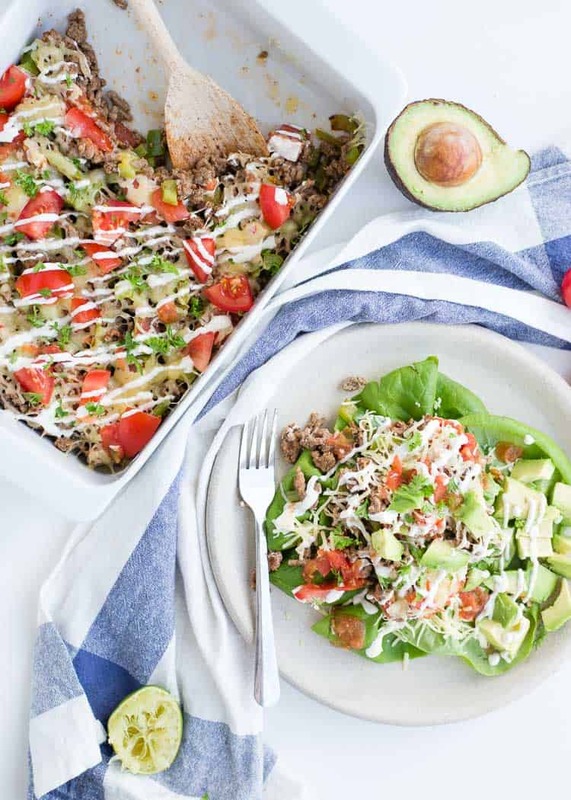 I love building our taco salad in a casserole dish for a few reasons. It is absolutely perfect of meal-prep weeks or when entertaining a crowd and for serving. It allows you to quickly reheat in the oven again to get that cheese gooey again. Yesss pleaseee. My husband eats this cold all the time, but I personally just can’t stand cold taco salad. One thing is for sure, however, you decide to build it or eat it hot or cold, the flavors are there and they are delicious! 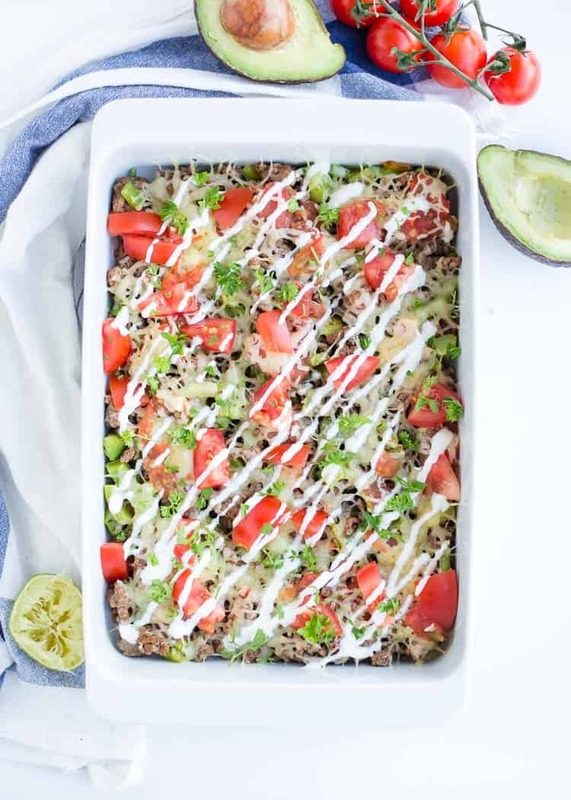 This meal prep taco salad casserole is so easy to make and it has not failed me yet. I’ve been making it for a long time with different topping combinations. I love some extra salsa on top with extra guacamole and sour cream. That is my personal favorite. If you feel like it needs additional dressing a low carb ranch dressing or low carb taco sauce is another great option. Now if you are ever looking at this taco SALAD and are like ugh. Yeah… I think we’ve all been there at times. Where a salad just ISN’T going to cut it that day. You want and need more. We ended up making a batch of our favorite low carb cheese chips and pilled our taco salad casserole onto that to make nachos! This Taco Salad recipe is so versatile that it just cannot disappoint. Just a few simple steps and dinner is served. 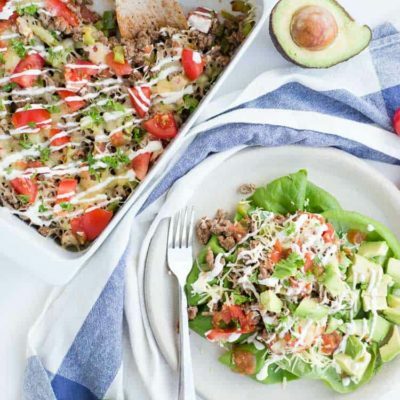 ​​​​​​​This Taco Salad recipe is for those meal prepping people out there. Even if you aren't meal-prepping preparing this taco salad ahead of time for a crowd doesn't get easier than this. Just a few simple steps and dinner is served. Author: Lindsay from That's Low Carb?! In a large skillet over medium heat add coconut oil, ground beef, green pepper, jalapeno, garlic, onion powder, ground cumin. Stir frequently until cooked. Stir in salsa and pour meat into a casserole dish. Top with cheese while it's still hot. Top with your favorite low carb toppings such as the optional ingredients above. Serve by itself or over chopped lettuce. Nice recipe! Very filling and good. As a note, I find no issues with your fonts. Love everything you post, but the font is very difficult to read. Sorry, but I would enjoy something less decorative. Thanks for that constructive criticism, Linda. Do you mean the basic font within my posts or when it is bold or italicized?